Stone of Magic & Divination, Labradorite is believed to enhance one’s innate intuitive and mental abilities, such as clairvoyance, telepathy, astral travel, prophecy, past-life recall, and communication with spirit guides. Labradorite is an inter-dimensional stone, emanating an energy which helps one pierce the veil between the waking world and the planes of inner awareness. It’s a highly mystical and protective stone, which activates the inner eye, allowing one to more clearly envision the past, future and distant places. 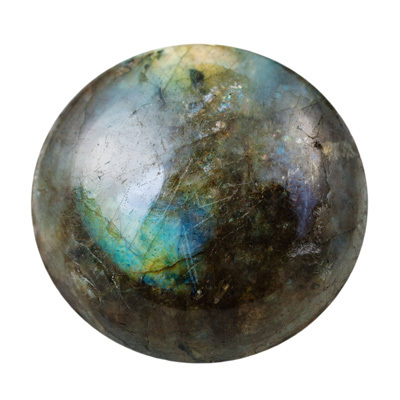 Labradorite can help one overcome the tendency to control others, while bonding deeply with the knowledge that self-mastery is the path of true fulfillment. It is said that a tyrant wants power over others and a true magician desires power only over himself or herself. 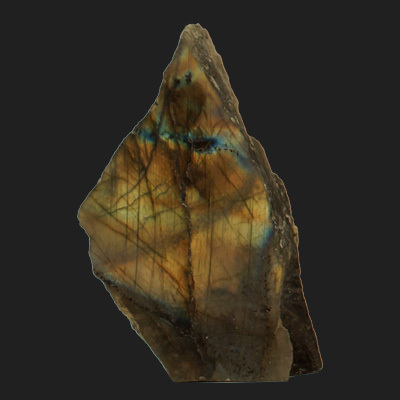 Labradorite is a dark colored feldspar gem with brilliant rainbow hues. 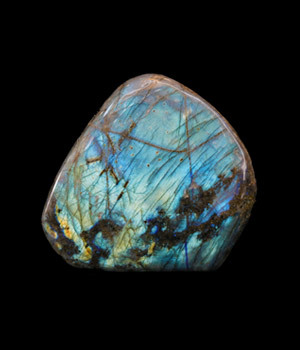 Labradorite was named after its place of discovery in Labrador, Canada. It was first discovered in 1770, on the Isle of Paul, in the northernmost settlement of the Canadian province. According to Inuit folklore, the “Mighty Being” hit the iridescent mineral rock with his fist to initiate travel into the sky. Labradorite was called “firestone” and “fire rock” by the native people. Also used by the Boethuk people in Labrador and Newfoundland, Labradorite stones were believed to contain elements of the Northern Lights.